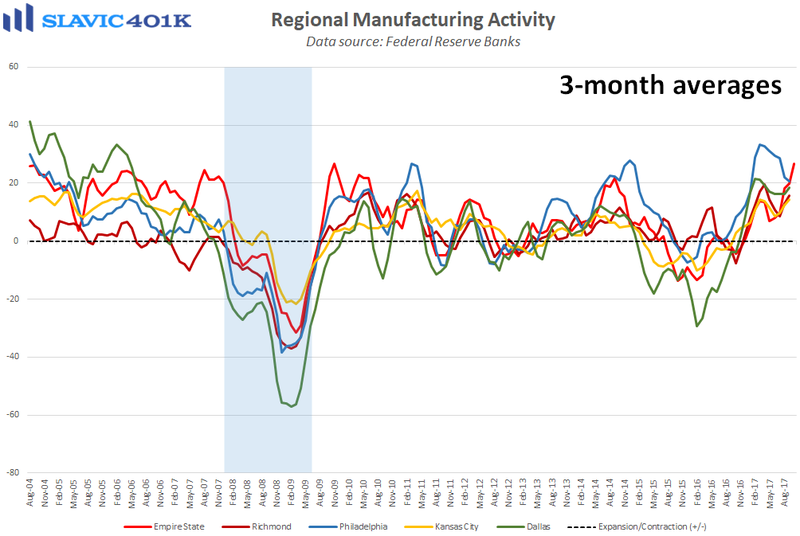 A new report from the Federal Reserve Bank of New York showed that manufacturing activity in the Northeast region of the country improved considerably this month, as the general business conditions index surged from +24.4 to +30.2. That was significantly better than economists had anticipated and the highest headline reading since October 2009. Under the hood, measures of shipments and total employment strengthened this month but new orders, inventories, and hours worked all deteriorated. 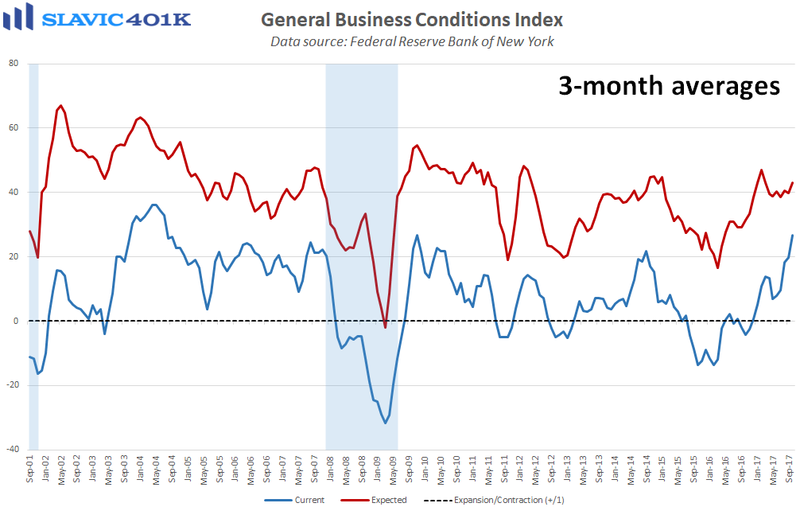 Forward-looking (six months ahead) gauges generally firmed in October but reported plans to boost capital expenditures and technology spending declined. That could be a reflection of surveyed managers' confidence in the U.S. economy but frustration with the lack of progress in Washington in the areas of tax cuts and regulatory reform.